I’m not sure if you’ve experienced this also — where someone accuses someone of selling out in a way that really feels like a negative accusation. I look around the community and I consider the possibility of someone having actually sold out and it occurs to me that no one is making nearly enough money for that to be possible, let alone common or even likely. Next thing I know, my mind wanders and I think back to the days before I did sales and I realize that if you’ve never sold yourself before, you likely don’t know how to make it work in a way that feels okay. This article approaches the subject from two perspectives. The first considers your artistic commitment to your work. The second, illuminates ideas associated with selling. First let’s talk about the work you’re creating. In order to be sure you’re honoring your soul’s intent, you have to get in touch with what that intent is, understand your boundaries, and, like you would with any self-care practice, enforce them in ways that support you authentically honoring your deepest you. Here are a series of things to consider in terms of the artist commitment to the work to help keep you get and stay on target. What’s your outcome? What are you accomplishing through your work? What’s your artistic vision? What do you value in your art and experience? Ask yourself these questions and dive into an understanding of your own sense of your work so you can clearly approach auditions, prospects and situations in command of your artist vision. Get okay with selling yourself and your art. There’s no real way around this. You have to be willing to sell it to get money for it. If you’re not willing to sell yourself then you need to find a booking agent who will be okay with selling you and who will be motivated to do so if you want to get work. Either way, in the end, you’re receiving money for your work and you have to be okay with that. Know the value of your time. If you haven’t yet set your rate and feel comfortable stating it, that’s your first homework assignment. It’s important to know how you relate to your time so that you can effectively understand what is being asked of you. For example, if your rate is $50/hour and you have to drive 2 hours each way, that means you could have been earning $200 in those 4 hours of driving round trip. When calculating your rate, this knowledge can assist you in calculating complex scenarios. 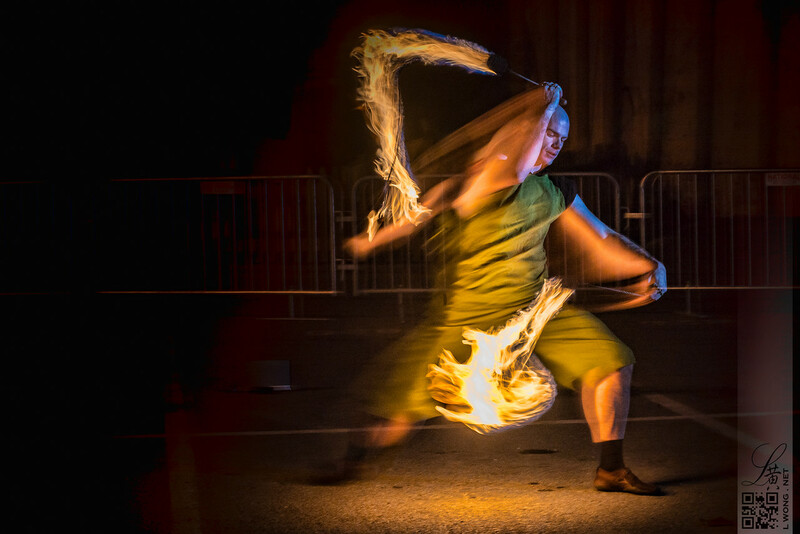 You may also have different rates for different skills: fire safety may get one rate per hour while costume work a different rate and instruction a different rate and so on. Understand your rate and know how you value your time to ensure you don’t feel taken advantage of or resent a situation after the fact. Understand your bottom line. The money is one part of your bottom line. The artist vision is another. Knowing upon which points you will compromise when you make a proposal — if at all — is valuable so that you can go into the negotiations with a clear sense of your boundaries. Knowing your boundaries is half the battle. Just say no… because saying no is the other half of the battle. Once you know what your boundaries are, you have to enforce these boundaries. If you do not, you will allow someone to sully the experience by not honoring your own needs. You then have to live with the consequences of how that might feel and the standard you’re setting for your interactions with clients in the future. Be strong in your no — practice saying it with friends if that helps. Negotiate clear contracts. Once you know what you want and have negotiated the terms you seek, be sure to get everything that is relevant and of importance to you in the contract. This can include anything that you feel you need. For example, we always negotiate a parking space so we can keep the depot near the stage in the car closed up between shows. This helps make parking easy, timing more efficient and assists in getting us more smoothly integrated into events — not to mention the drastic improvement in the safety of the show by eliminating a fuel depot as one of the risks. As you evolve, your standards will shift. We don’t know what we don’t know until we know and experience is a unique teacher. In that, what might have been okay with you year one may not be something you’d consider year 10. Allow for your own evolution — as an artist and a business person — so you might continue to stay connected with your soul’s desires. Once you’ve considered these ideas about your art and your relationship to it and your time, here are some ideas to consider during the marketing, selling and negotiations. Business is business. Let’s not mince words here: if you’re doing this for money, it is a business. The more quickly you adopt that mindset, the more easily you can discern which cap you should be wearing in which moment — the artist cap or the business suit. To that end, when you’re handling the business, remember it is not personal, it’s professional and it’s about the bottom line. Ideally, the bottom line is in alignment with the artistic vision and the value you seek for it, and it isn’t personal if the prospect doesn’t want to pay what you’re asking. 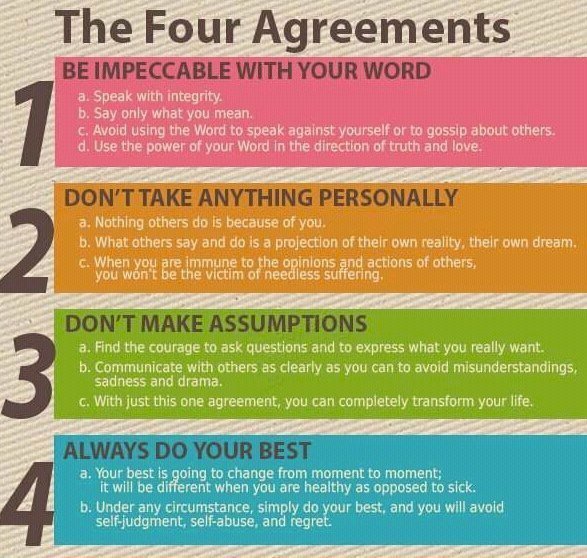 As a side note, if you’re struggling with taking things personally, consider The Four Agreements, a great book to help support you in that practice, summarized here in this meme. Time is money. Every time you answer a question and don’t get paid, that counts as time you’ve invested.That means that when you sign a contract for a gig, part of what they are paying for is all the times you didn’t get a gig but invested your time in answering questions. This is part of the cost of doing business. Your job is to accept this as part of the landscape of your work (be it as a teacher, tool manufacturer, performer or otherwise) and when negotiated rates, remember all the time you spend not getting also needs to be covered by what you get paid for the gigs you do take. Under promise and over deliver. Be it the timeframe for return communication, the duration of the show, the quality of the costumes or any other aspect of your show, make it work for you through this motto. You can always go down in price and you can rarely (never) go up in price. Which means start with your highest number rather than your lowest number. Add-ons add money. If a client wants you to run a ritual at their event, that’s more money. Bringing an extra sound system? More money. Doing an extra set? Adding an extra dancer? Booking a DJ? Bringing extra music? Yes, for each of these, charge more money. Social proof matters. Social proof or social influence is the idea that when something is endorsed by other people, it is becomes acceptable. This can snowball in your favor if you leverage things like Yelp reviews and add reviews on your web site. Sell 2 short shows instead of one long show, a concept we recently covered in it’s own article. If you want to gain more insight about what you sell, how to sell it and gain practice honing your pitch, join us for the upcoming Building Your Business training where we will have both theory and labs to assist you in developing your skills, message and hopefully your close rate so you can make more money selling your show without selling your soul. ← 50 Shades of Self-Care to Improve your Practice (and your life)!